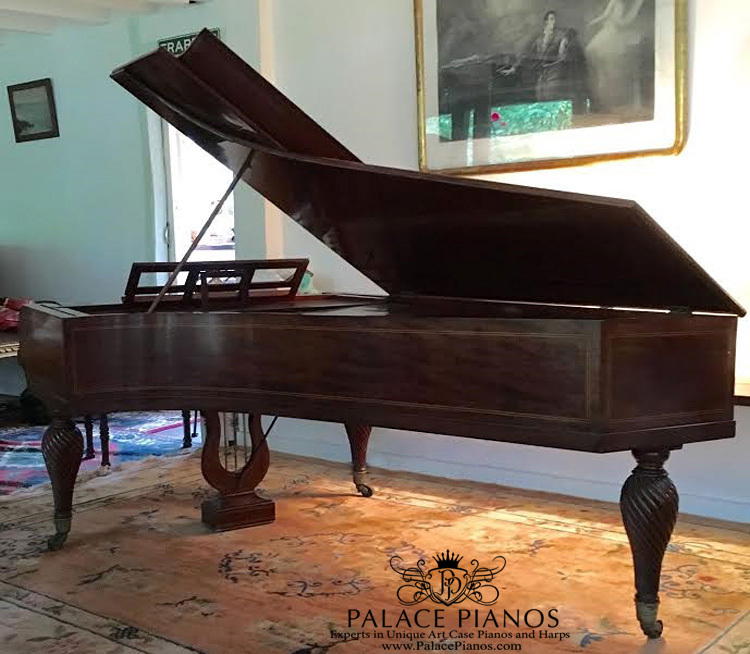 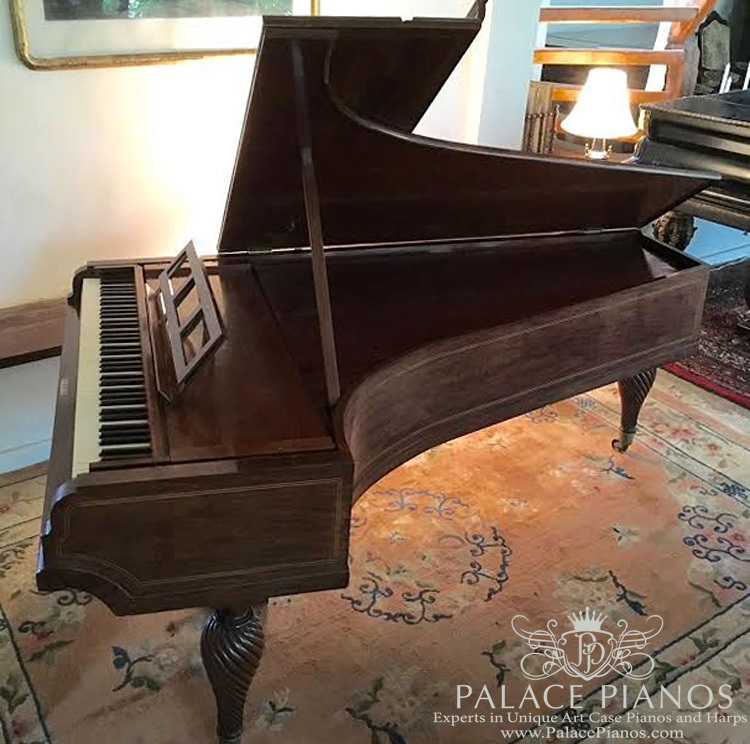 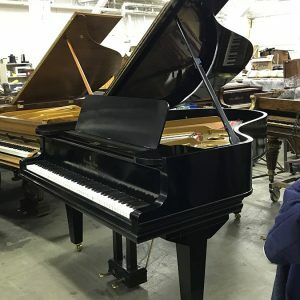 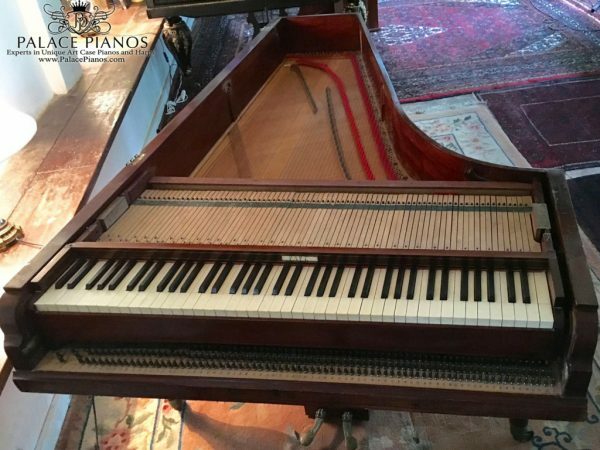 This piano comes to us as a surprise as we thought we had seen most models of Jean Henri Pape pianos till now. 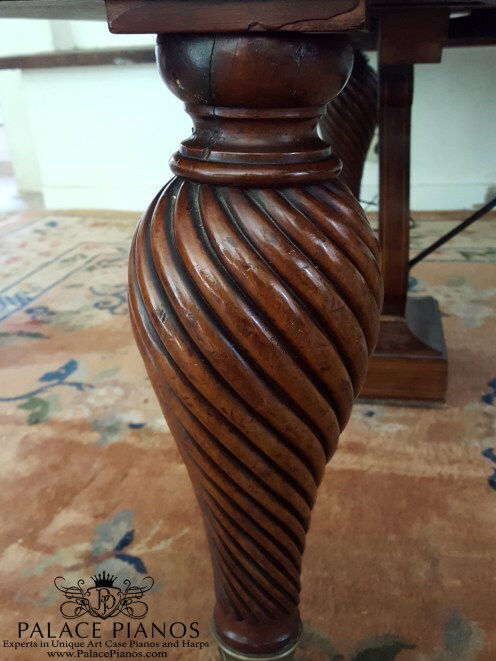 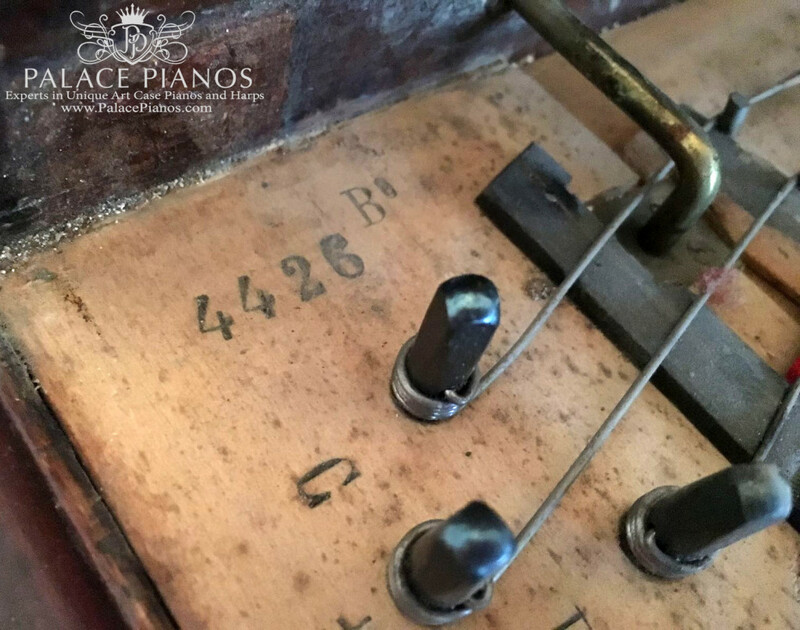 This is a unique model, possibly a prototype serial number 4426 made in the year 1840. 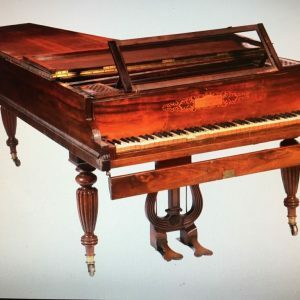 With checking catalogs, archives, and museum collections, not one has come close to this model. 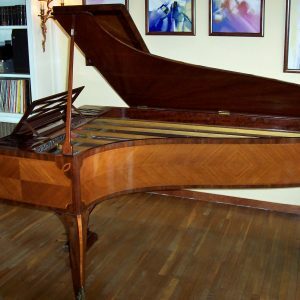 The case is made of mahogany with strips of fruit wood , wooden frame, down striking action, standing on three tortellini turned legs . The weight of the piano is so light that one can lift the piano with one hand. 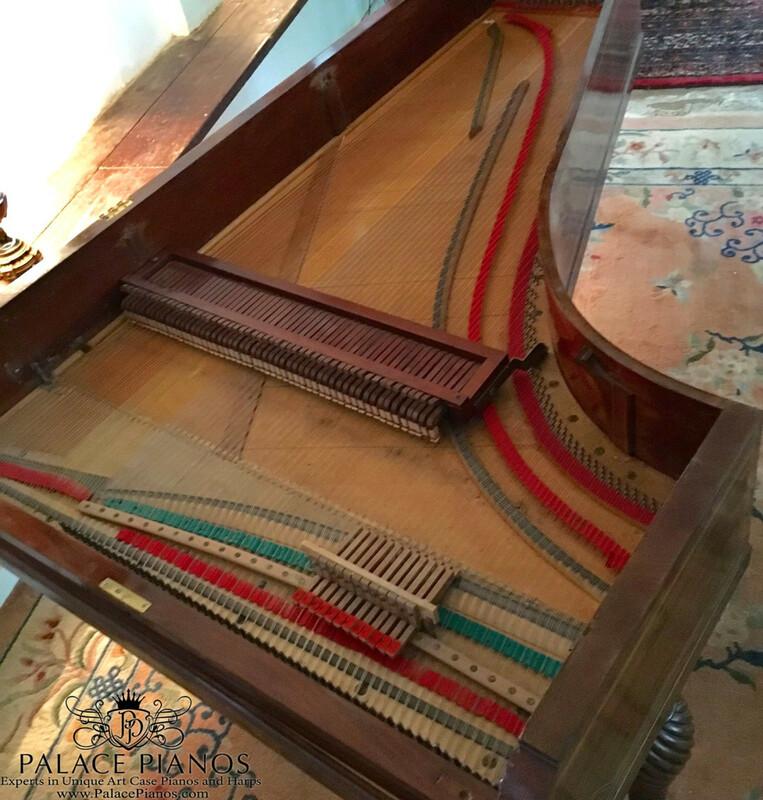 The piano is in working order and does play. 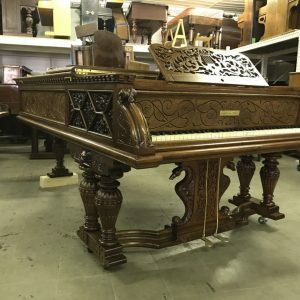 This is a great chance for investment purposes for special collections. 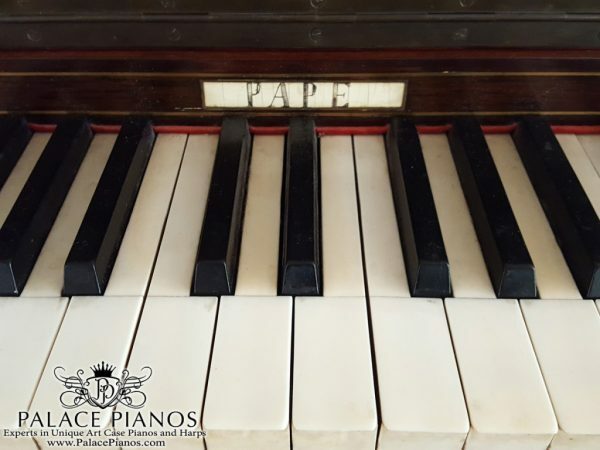 Jean Henri Pape was known for his odd and unusual pianos, and patents, was believed to have had over 150 patents of various parts of pianos and more. A genius of his days, his pianos have graced us still today with his clever mechanisms and ways of achieving sound and quality with a limited space. 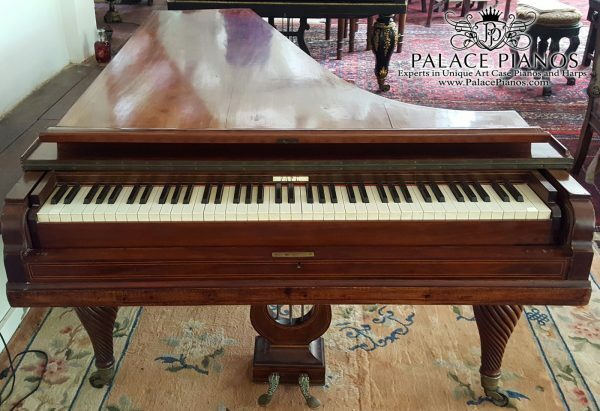 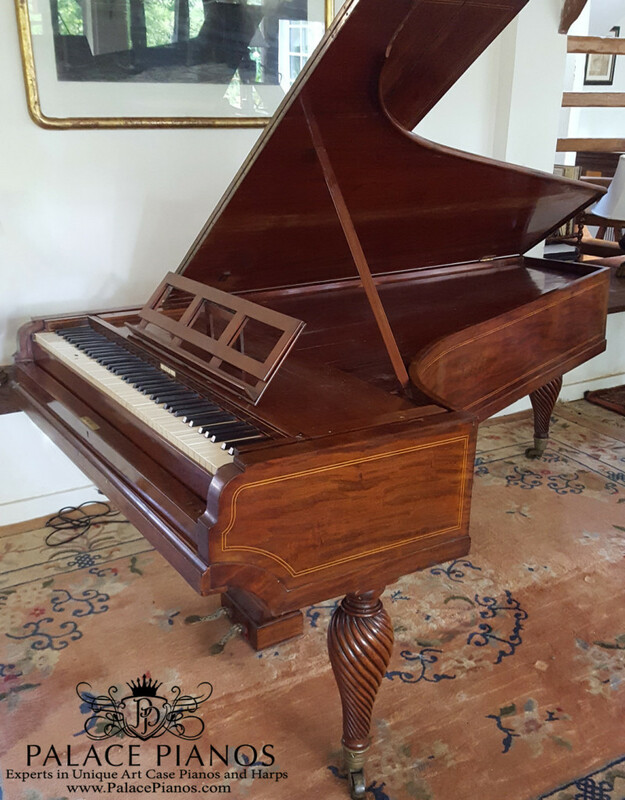 A museum piece, this piano can make any home, into a true salon of Music to entertain friends and family.